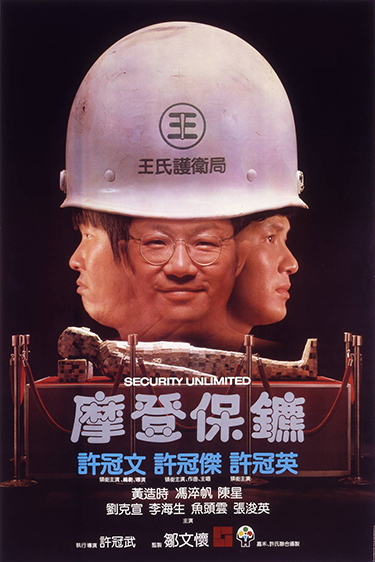 Comedy trio the Hui Brothers’ produce and star in this hilarious and off the wall laugh-fest and box-office hit, Security Unlimited. Michael Hui stars as head security guard Chou, whose unorthodox, and at times ridiculous approach to training his subordinates doesn’t seem to go down well with his boss, Fan (Stanley Fung). Sam (Sam Hui) and Bruce (Ricky Hui) are Chou’s favorite targets of abuse, but Chou soon finds the shoe is on the other foot when Ricky gets promoted after saving the day in a botched bank heist.